UBM India, the largest organizer of jewellery fairs in India, announced the launch of its premium international B2B jewellery fair in South India – the Chennai Jewellery & Gem Fair (CJGF). It is scheduled to be held between 19th – 21st October, 2018 at the Chennai Trade Centre. The expo will be well-supported by the prominent jewellery association — Chennai Jewellers Association and is anticipating to attract 200+ exhibitors and over 1,000 luxurious jewellery brands. The announcement was held at Taj Coromandel in the presence of key dignitaries, Mr. Yogesh Shah, Director, Chennai Jewellers Association; Mr. Uday Vummidi, Director,Chennai Jewellers Association; Mr. Sultan Mohideen, Director, Chennai Jewellers Association; Mr. Jitendra Vummidi, Director, VBJ; Mr. Yogesh Mudras, Managing Director, UBM India and Mr. Abhijit Mukherjee, Group Director, UBM India. The CJGF owes its origins to the GJIIE, a show that UBM India has nurtured as the gateway to the Indian jewellery market, particularly in South India. In its refurbished avatar, UBM India’s new jewellery show in Chennai will truly provide an international experience, based on the organizer’s proven expertise in understanding local, national and global markets. The expo will be studded with a number of world-class features such as Luxury Pavilions, Seminars, Workshops, Panel Discussions, Retail Jewellers Awards, Hall of Fame, and Fashion Shows — to be graced by key stakeholders and celebrities. The expo will be an excellent platform for jewellery wholesalers, retailers, importers and exporters, jewellery manufacturers, diamond, gemstone, pearl suppliers and traders, precious metal and jewellery mounting traders and suppliers, machinery manufacturers and representatives from various trade and governmental organisations, to come under one roof to meet, connect, network and grow their businesses. In addition to Tier I, II and III cities in India, the exhibition will have delegate representations from Singapore, Bangladesh, Nepal, Middle East, Singapore and Malaysia among other countries, reinforcing the expo’s position as a proven and trusted sourcing hub of the industry. The CJGF is one of the five-city jewellery shows (Kolkata, Chennai, Hyderabad, Mumbai and Delhi) that will be hosted throughout the year by UBM India. Internationally, UBM plc organises the World’s Biggest Jewellery Trade Event – The Hong Kong Jewellery & Gem Fair. Speaking at the announcement of the new show, Mr. Sultan Mohideen, Director, Chennai Jewellers Association said, “ Chennai Jewellery and Gem Fair (CJGF) to be launched in October will be the best platform for manufacturers and retailers to meet and create business as it serves key markets in the region which supply to jewelers across India and abroad. CJGF will give us this opportunity to widen the breadth of our business and make the necessary connects quickly.” Adding to this, Mr. Uday Vummidi, Director, Chennai Jewellers Association, said, “ It will be an absolute delight to extend our support to this magnificent event, Chennai Jewellery and Gem Fair (CJGF) to be organized by UBM India in October 2018. A platform of this sheer size and scale is hard to come across in India and we look forward to CJGF.” About UBM India: UBM India is India’s leading exhibition organizer that provides the industry with platforms that bring together buyers and sellers from around the world, through a portfolio of exhibitions, content led conferences & seminars. 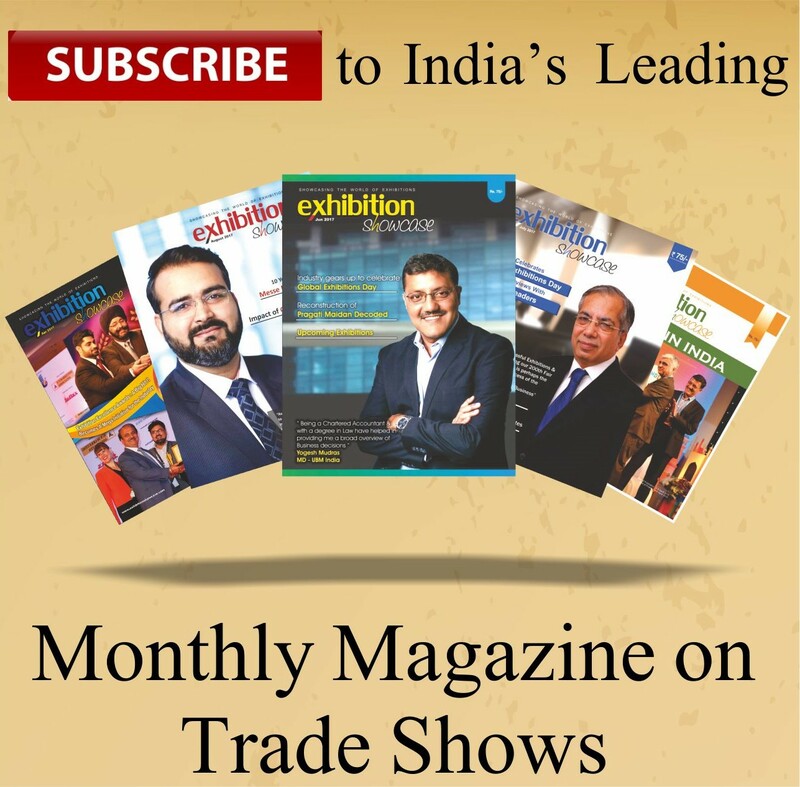 UBM India hosts over 25 large scale exhibitions and 40 conferences across the country every year; thereby enabling trade across multiple industry verticals. A UBM Asia Company, UBM India has offices across Mumbai, New Delhi, Bangalore and Chennai. UBM Asia is owned by UBM plc which is listed on the London Stock Exchange. UBM Asia is the leading exhibition organizer in Asia and the biggest commercial organizer in mainland China, India and Malaysia. About UBM plc: UBM plc is the largest pure-play B2B Events organiser in the world. In an increasingly digital world, the value of connecting on a meaningful, human level has never been more important. At UBM, our deep knowledge and passion for the industry sectors we serve allow us to create valuable experiences where people can succeed. At our events people build relationships, close deals and grow their businesses. Our 3,750+ people, based in more than 20 countries, serve more than 50 different sectors – from fashion to pharmaceutical ingredients. These global networks, skilled, passionate people and market-leading events provide exciting opportunities for business people to achieve their ambitions.